Is this the real website? 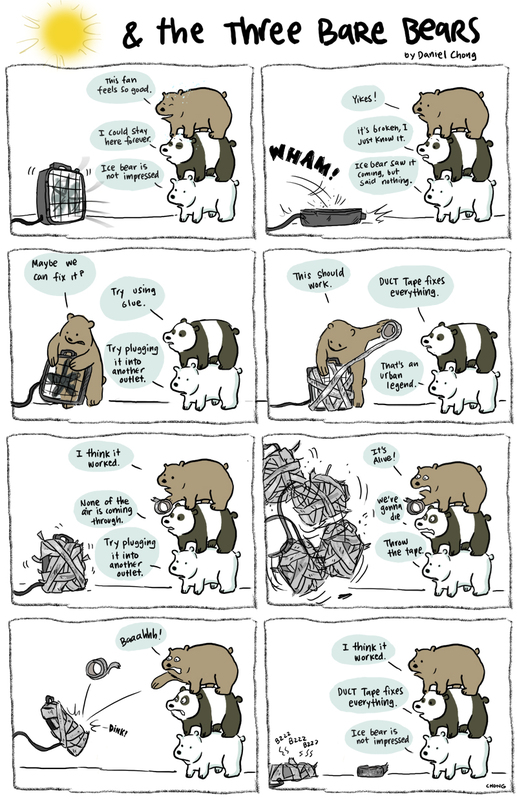 Duct Tape, The Quicker Fixer Upper (Ice Bear reads reference to a paper towel commercial). Panda is wrong. Duck Tape does not fix everything. "That's an urban legend", Ice Bear says it right there.